This unique custom built home, is situated on a private, beautiful large lot far from the street. 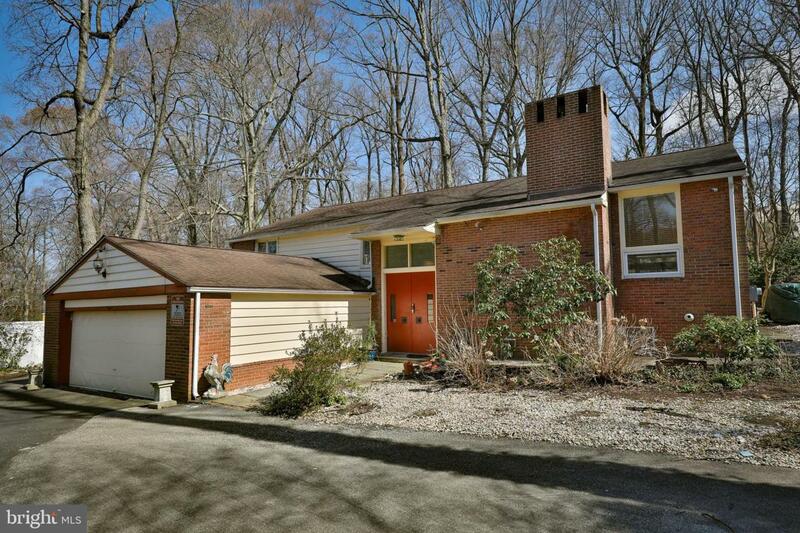 This splendidly designed home with an open concept layout was way a head of its time. The home feature an amazing open layout with large windows, sliding glass doors and skylight that allows for wonderful light and picturesque views from all angels. Spacious living room with parquet floor, gas fireplace and recessed lights leads to a large formal dining room with tray ceiling and built-in wall unit. The formal space flow with ease into the open family room, eat-in area and enormous kitchen. The family/great room features a wood burning stove, sliding glass doors to patio, Terracotta tile floors and large skylight dome. The oversize kitchen feature ample amount of granite counters including a center island with cook-top and amazing number of cabinets. There is a built-in wall microwave and oven. The upper level consist of master bedroom with dressing area and an updated bathroom, 3 additional bedrooms and an updated hall bath. The lower level has a large playroom with sliding glass doors and laundry area. A unique feature of this property is a separate small apartment with a full bath and kitchenette that is perfect as a guest or Au-Pair suite. A beautiful brick patio affords great out-door space for entertaining and enjoyment of the park-like setting. A two car garage and a partial basement allow for great storage and a wide area of the driveway can be used for additional parking.